The advent of the Prophet Muhammad SAW changed the face of the history of mankind in a manner that this world has never seen before. Since the first man and Prophet Adam Pbuh was sent down to Earth, Allah SWT sent many prophets and messengers to guide mankind to the Truth and to the Straight Path. Soon after the deaths of these prophets, their followers deviated from the teachings and corrupted the religion of Allah. 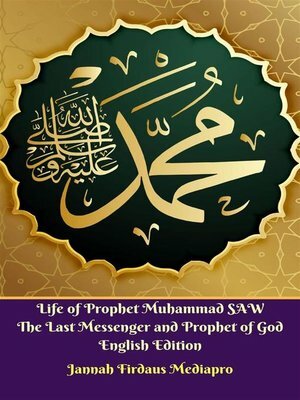 He rejuvenated the Truth as taught by the previous prophets and messengers, and re-established the Law of Allah on Earth through the teachings of The Holy Qur'an and the practice of the Sunnah. At the time of the birth of the Prophet Muhammad SAW, two great prophetic religions were practiced in the environs of Arabia - namely Judaism and Christianity. Both of these religions were born from the basic teachings of Islam (Tawhid/Pure Monotheism) as taught by Prophet Musa Pbuh and Prophet Isa Pbuh. However, the original teachings were lost, and these religions were born. Though the Arabs believed in the concept of a supreme deity as originally taught by their progenitor Prophet Ibrahim Pbuh, most of the Arabs had become polytheists while a minority amongst them turned towards the religions of their cousins, Judaism and Christianity. The Bait-Al-Haraam in Makkah, which had been reconstructed by Prophet Ibrahim Pbuh for Allah's worship had been filled with hundred images and idols by these polytheists.